Yzerman will move to a senior adviser role working under BriseBois and he said he was “100 percent committed” to the Lightning this season. Beyond that, Yzerman’s future is cloudy and BriseBois is now in charge. It was a surprising move for a powerhouse team, one that reached the Eastern Conference final last season. 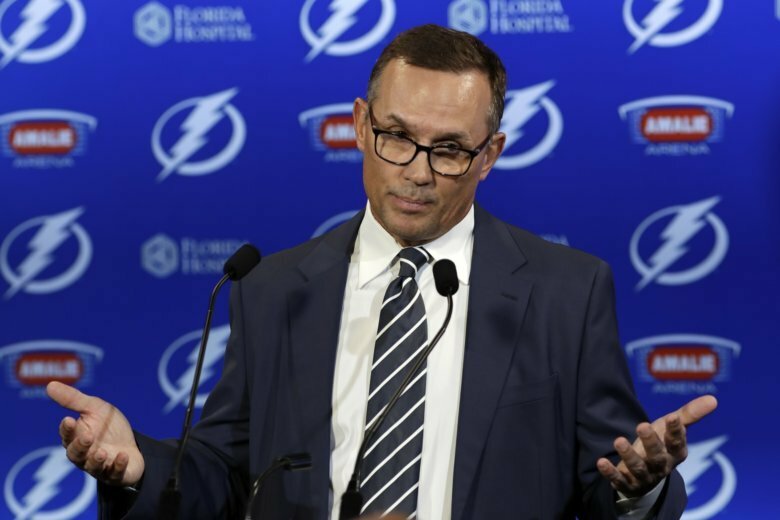 The 53-year-old Yzerman spent the past eight seasons as Tampa Bay’s GM, a tenure that included five playoff appearances, three trips to the conference final and an appearance in the 2015 Stanley Cup final. He said he came to the decision in late July not to sign another contract as GM and that it took until now to iron out details on what to do next. Yzerman’s family has remained in Detroit, and he commuted during his time on the job. The plan is the 41-year-old BriseBois who had been an assistant to Yzerman since they joined the Lightning in 2010. For a number of years, he has been considered a future NHL general manager, and owner Jeff Vinik said the Lightning were lucky BriseBois wasn’t hired by someone else. Tampa Bay is again one of the Cup favorites based on Yzerman’s stellar record of drafting, developing and acquiring players. He promoted Jon Cooper to head coach in 2013, re-signed captain Steven Stamkos and locked up defenseman Victor Hedman to a long-term deal in 2016. He also traded for J.T. Miller and Ryan McDonagh at last year’s trade deadline and got Nikita Kucherov signed to an extension this summer. Yzerman went to Tampa Bay with a five-year plan to win a Cup. He leaves disappointed that didn’t happen and hopeful it will under BriseBois.